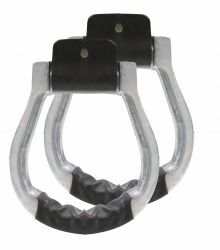 Showman ® Lightweight twisted angled aluminum stirrups with cross and steer head design. 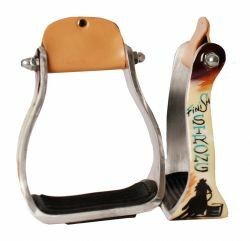 Showman ® Navajo Cross print aluminum stirrup. 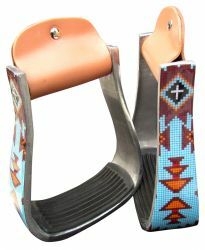 Showman ® Orange and Light Blue Navajo print stirrup. 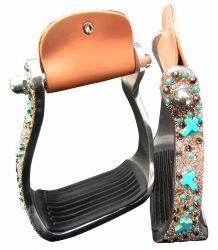 Showman ®Turquoise and Brown Cross Concho stirrups. Showman ® Lightweight twisted angled aluminum stirrups with "Freedom" feather design. 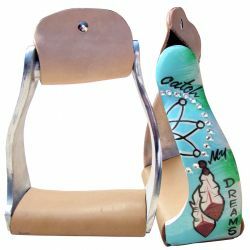 Showman ® Lightweight twisted angled aluminum stirrups with painted " Catch My Dreams " design. Showman ® Silver Engraved Stirrups with copper and teal feather concho. 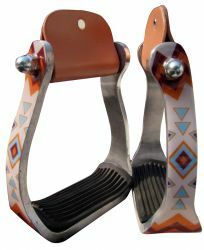 Showman ® Navajo Arrow print stirrup. 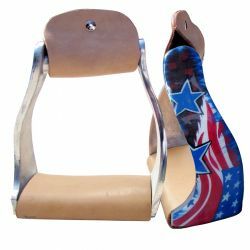 Showman ® Lightweight twisted angled aluminum stirrups with stars and stripes design. 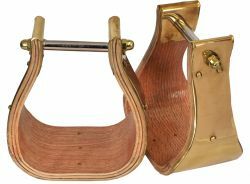 Showman ® Polished Brass covered wood stirrups with 4" tread. 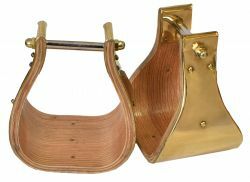 Showman ® Polished brass covered wood stirrups with 5" tread. 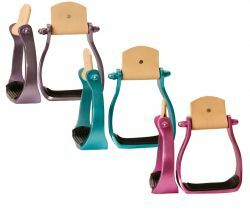 Showman® Color coated light weight aluminum stirrups. 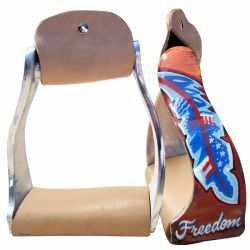 Showman ® "Finish Strong" Barrel Racer print stirrup. 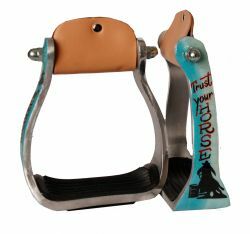 Showman ® "Trust Your Horse" barrel racer print stirrup. Showman ® Lightweight twisted angled aluminum stirrups with barbwire star design. 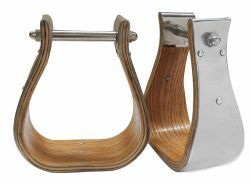 Showman ® Polished stainless steel covered wood stirrups with 5" tread. 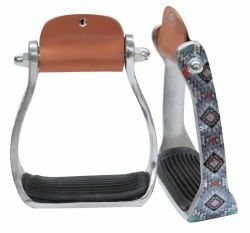 Aluminum oxbox style stirrups with leather tread. 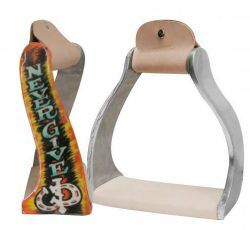 Showman ® Lightweight twisted angled aluminum stirrups with shimmering " Never Give Up" painted design. 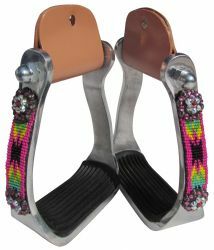 Showman ® Youth Shimmering beaded Navajo print stirrup. 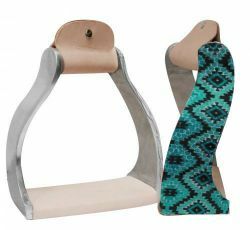 Showman ® Lightweight twisted angled aluminum stirrups with shimmering teal Navajo print. Showman ® Youth Shimmering pink Navajo print stirrup. 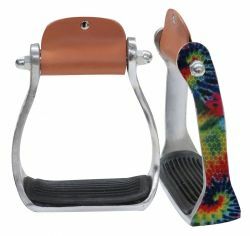 Showman ® Shimmering tie dye print stirrup. 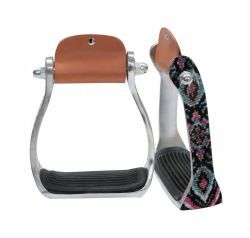 Showman ® Shimmering Navajo print stirrup. 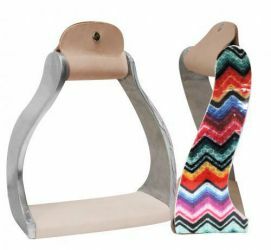 Showman ® Lightweight twisted angled aluminum stirrups with shimmering chevron print.